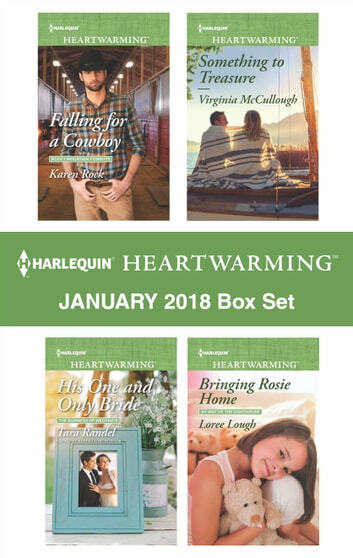 Harlequin Heartwarming brings you a collection of four new wholesome reads, available now! Barrel racer Amberley James wants to join the premier rodeo circuit more than anything, but she faces the ultimate hurdle when she loses her eyesight. And her best friend Jared Cade’s persistence at helping her overcome this obstacle is ridiculous. Ridiculous and inspiring…and incredibly attractive. At the news of her husband’s presumed death, Zoe Simmons faces a future alone, raising the baby Mitch never knew about…until fate intervenes and Mitch returns, yet is unable to remember the cause of his suspicious accident.Zoe and Mitch must make sense of the past to find out if they still have a future together. Dawn Larson is at the top of her game marketing the new excursions business in Two Moon Bay, but the owner…not so much. Jerrod Walters, diver and reclaimer of sunken shipwrecks, has a painful past that has closed his heart. Can Dawn meet that challenge, too? Five years ago, when three-year-old Rosie was kidnapped, grief, guilt and uncertainty pushed her parents apart. But now Rosie’s been found, and Grant and Rena must come together again…for their daughter’s sake.